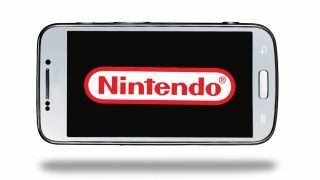 Nintendo's first game developed for smartphones will finally be revealed Thursday. "We will talk about details tomorrow," Nintendo President Tatsumi Kimishima told the Wall Street Journal today, breaking a nearly 7-month silence on the company's expansion into smartphone game development. The video game giant announced back in March 2015 that it would team up with Japanese developer DeNA Co. to develop multiple smartphone games using Nintendo properties. While little else had been announced at that time, Nintendo planned to release its first game by the end of this year, along with four more titles to be completed by spring 2017. Now, we hope we get a good look at the first title tomorrow. Nintendo's decision to enter the mobile game market was a surprising yet ultimately an understandable move. The company, once vehemently against joining the smartphone market, typically uses its own line of hardware to house its video game franchises, from the classic Legend of Zelda series to the more recent Splatoon, a competitive multiplayer game featuring funky-fresh squid/kid hybrids. However, as disappointing sales numbers emerged for the 3DS portable game system and tablet-influenced Wii U console, Nintendo looked to new avenues for revenue. While Nintendo's console efforts may be struggling, turning to the smartphone gaming market could prove lucrative. The ubiquity of smartphones has provided a whole new mass market for gaming, with breakout hits like Candy Crush Saga, Clash of Clans, and Angry Birds becoming a regular fixture of home screens and daily commutes worldwide. Bethesda free-to-play Fallout Shelter, announced suddenly this summer during E3, raked in a reported $5.1 million in microtransactions over the course of two weeks. Nintendo's long history in video game development, combined with its instantly recognizable stable of characters such as Mario, Donkey Kong and Pikachu, could easily find a new home on iOS and Android. At this time, possibilities are endless for what Nintendo might bring out. Will it be a simple Mario-themed infinite runner in the vein of Temple Run or Spider-Man Unlimited? Perhaps something to so with Pokémon Go? A free-to-play Animal Crossing you engage with friends on your contact list? Or, it could be something completely new, given the company's track record of creating new franchises tor trailblazing unto a new platform. For now, all we can do is speculate and wait till tomorrow.